All Hidden Places Travel tours, river cruises, expedition cruises, and adventure trips. Find the best guided trips and expert planned vacation and holiday packages. 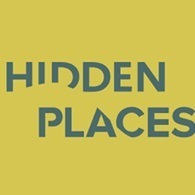 Average rating of 5.0 for all Hidden Places Travel trips. Enjoy every day, and every island and settlement we visit on this trip, is different and unique. Stopping to sip great coffee under the shade of bougainvillea. Our Kayak Croatia trip with its mix of superb landscapes, history, culture and great food and wines, is an adventure not to be missed.